The recent Public Health England report on sugar reduction recommended that we slash the amount of sugar we eat to just seven teaspoons a day. Diabetes, cardiovascular disease and obesity have all been linked to high sugar intake. Treating obesity and its consequences alone costs the NHS £5.1m per year. Jim Al-Khalili invites three scientific experts from different disciplines into the studio to present the evidence behind their strategy to reduce our sugar intake: - Dr Peter Scarborough, a mathematician from the Nuffield Department of Public Health at Oxford has been analysing sugar taxes - Prof Theresa Marteau, a behavioural psychologist from the University of Cambridge, studies the effects of portion sizes - Jenny Arthur, Director of Innovation and Nutrition at Leatherhead Food Research is experimenting with the microscopic structure of sugar particles Producer: Michelle Martin. A deadly crowd collapse at the Hajj pilgrimage in September has brought public safety into the spotlight once again. Here in the UK, the Hillsborough inquest has been re-examining the tragic events of 1989 which led to the death of 96 football fans at the Sheffield ground. Today we ask how science can prevent crowd disasters. Jim Al-Khalili invites three scientists into the studio to explain their strategy for improving crowd safety: - Dr Suzy Moat, from Warwick University's Business School, is testing new technologies to monitor crowds - Dr Cliff Stott, a psychologist from Leeds University, says the answer lies in better crowd management - Paul Townsend, Associate Director of 'Crowd Dynamics International', would like more focus on how we design and use public spaces The panel debates the pros and cons of each method and how we can put science to work to keep crowds safe. Producer: Michelle Martin. Opening presents can be quite a challenge. Toys incarcerated in rigid transparent plastic cases can bring tears, not of joy. Not to mention vacuum-packed luxury foods that are just impossible to get into. So, can science save us from infuriating packaging? And, if so, which technology is most likely to deliver us from this irksome everyday problem? Three scientists battle it out in the studio, pitching for Jim's imaginary pot of research money. Dr Alaster Yoxall is determined to understand what makes things fiddly. Professor Mark Miodownik dreams of packages that can be opened by your mobile phone. While Professor Lynne Boddy believes mushrooms as the new polystyrene. Could the future of packaging be mouldable mould? Producer: Anna Buckley. As the recent VW scandal reminds us, the exhaust from petrol and, in particular, diesel cars are damaging our health. So what can science do to help? 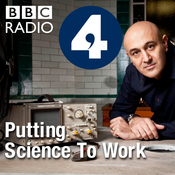 Jim Al-Khalili invites three scientists into the studio to explain how their research or technology could help reduce pollution from dirty car exhausts. Professor of Chemistry, Tony Ryan makes the case for smart materials that absorb noxious gases. If only everyone could treat their jeans with nanoparticles that that clean up the air as they walk around town. Professor Clare Grey and her team are working on the next generation of batteries for electric cars. And engineer, Bernard Porter is a champion of hydrogen fuel cells. So, which technology is best designed to help us reduce air pollution in our cities? Who deserves the lion's share of Jim's imaginary pot of research funding to help us tackle this problem? Producer: Anna Buckley. 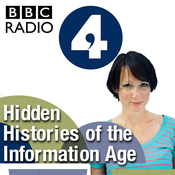 Lyt til Putting Science to Work, Hidden Histories of the Information Age og mange andre stationer fra hele verden med app'en radio.dk.